It took me quite some time to find something made of a natural material that I felt was right for this project. I bought a couple of wooden knives that I thought would be really interesting to add metal clay elements to. I experimented with these for quite a while, adding bits with rivets and also enclosing the handles in metal clay elements. Nothing really worked to my satisfaction though. I bought some porcupine quills. They are interesting and fun but again, they didn’t quite work. I then saw a honey dipper with an interesting end. The top of the handle was a simple knob but the bottom that dips in the honey had a pattern I felt I could replicate in metal clay. I made a tube, making it a little bigger than needed to account for shrinkage. I then added graduated disks as an echo of the dipper end. I felt it was a bit simple so decided to add a stone to the end. I had some Oregon Sunstones in a bullet shape and the colour of the sunstones reminded me of honey so these seemed perfect. I was very happy with 8.5 out of 10. The comments were rather strange! “Made me think, yes, honey dipper, functional. Upon reading the description however, it reads more like a natural material, metal clay and a commercially made element. 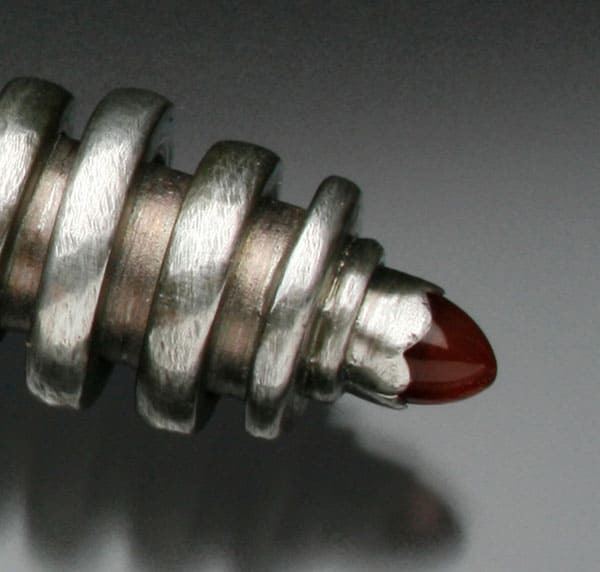 This is metal clay with an element of natural material commercially made. Interesting interpretation. 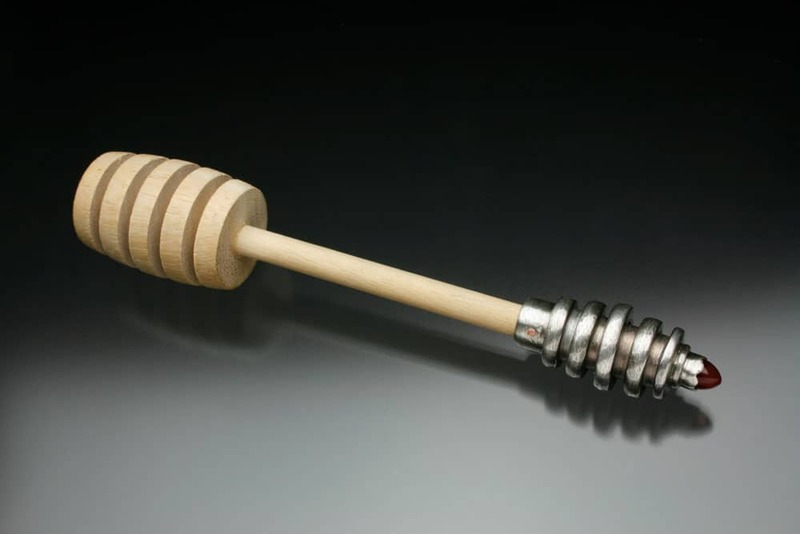 If a commercial knife blade is allowed, this wooden honey dipper works for me. And I think it does work!” It’s like the assessors having a conversation with themselves! They did give me two other things to think about, “Two minor points. 1. Stone is loose. 2. The weight of the silver end may make it function less than perfectly.” I didn’t think the stone was loose when I put it in the post but this was easily rectified when it came back to me. As for the weight of the end, this was a valid point but the dipper works well for me. I still wish the assessors would be more specific about why points are knocked off though. Did they knock off a half point on design because of the potential weight of the dipper in use? What was the 0.5 knocked off content for? Please be clearer so I can learn! 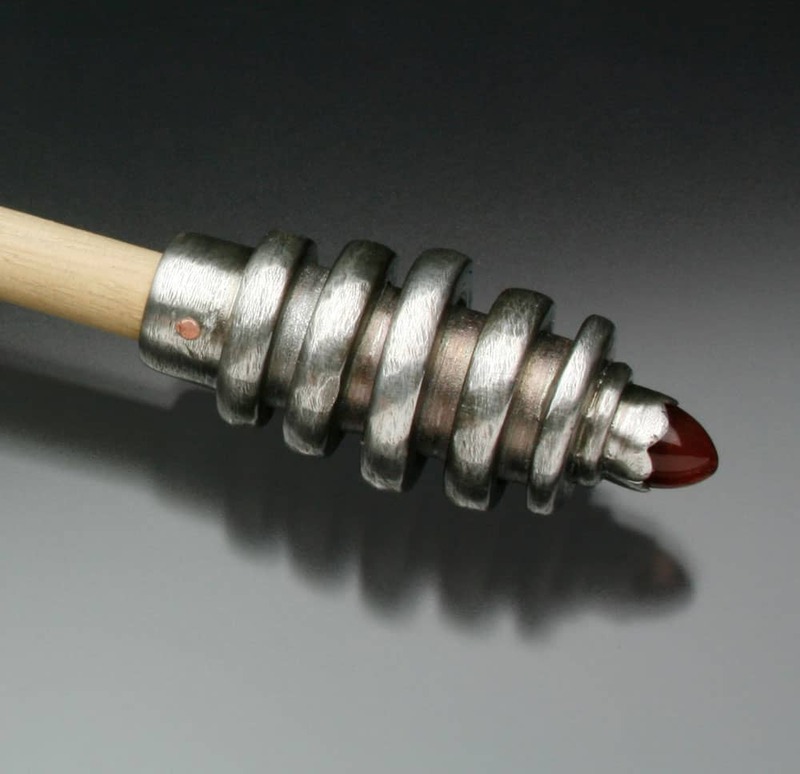 Combine a natural material with metal clay to make a nonwearable functional object. This would include (but is not limited to) bone, branches, twigs, beach stones, antler, seed pods, and thorns. The piece should feature metal clay, but can include other materials. For instance, you can use a commercial or handmade knife blade with an antler handle embellished with metal clay.